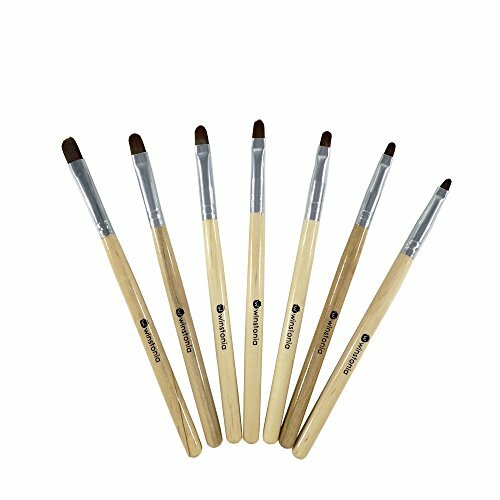 Shake up your uv gel application with our 'Wooden Allure' brushes set. The bristles are handmade with high quality nylon hair. The sturdy natural wooden handles offer well balance during application. 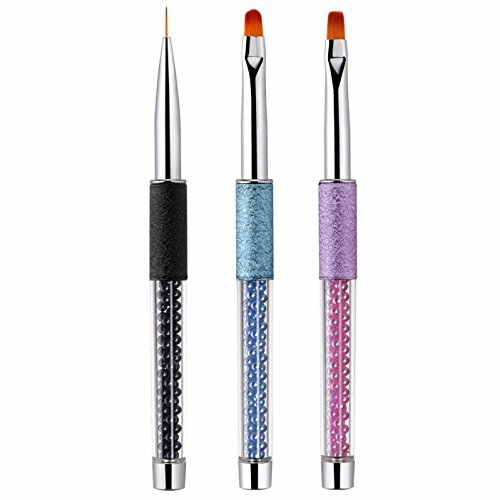 Specification: Material: Stainless Steel + Nylon Fiber + Plastic Color: Black Total Length: 6.7 inches Flat End Size: 1.2 inches Tongued Brush Size:0.3 inches Packgae includes: - 1 Pcs Pen-shaped Gel Nail Brush Feature: Creating long lasting dazzling gel nail tips. Easy to handle and operate. Suitable for professional use or home use. 100% brand new and high quality. 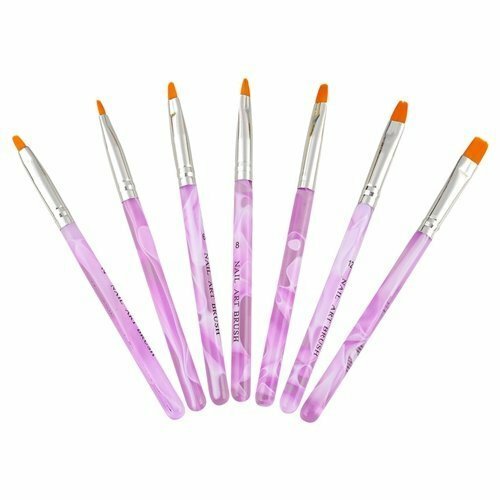 Usage Tips: lightly dip the pen tips in some alcohol before pick, so the flat tip and the brush tip will not get sticky with gel. but be careful not to dip with too much alcohol. 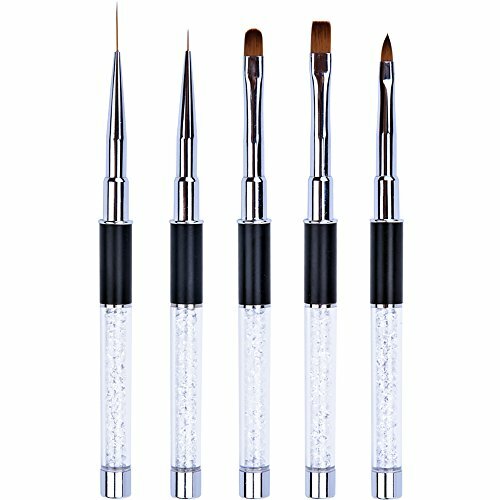 SPECIFICATIONS: Material: Stainless Steel + Nylon Fiber Color: Black Total Length: 17.2cm/6.77inches Flat End Size: 2.8cm/1.1inches Tongued Brush Size: 0.7cm/0.28inches PACKAGE INCLUDES: - 1 x Nail Art UV Gel Brush Pen Warm tips: The gel is always sticky, so you can slightly dip the pen tips in some alcohol, so that both the flat tip and the brush tip will not get sticky with the gel and will be easy to clean. But make sure you don't dip it in too much alcohol because it will make it hard to do your nail gel or extension. 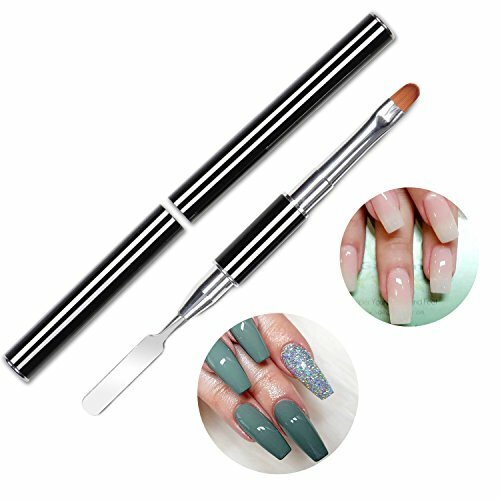 Package Contents: -1 pcs of Nail Art round Brush Feature: -100% Brand new and high quality -Material: acrylic handle, Nylon brush tip -Size of brush :Length 6.5"(17cm) -Function: it is perfect to make the effect of gradient and smudge in nail tips , besides applying nail powder etc. 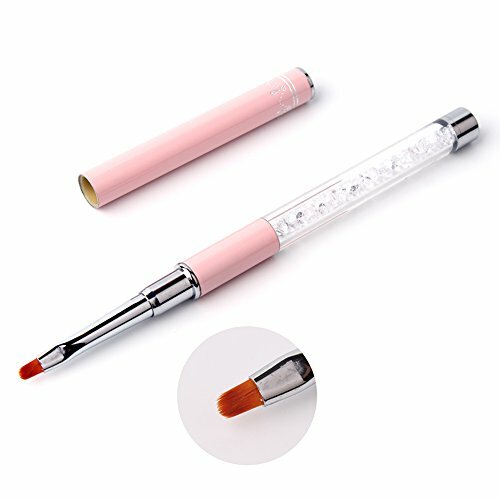 Nail Art Brushes' Maintenance General Knowledge: 1. The painting brushes can be cleaned with water immediately after painting with water-based pigment, but if it is long time hardening water-based pigment or oil color, then you must use brush cleaner to make it clean. 2. Washing the brushes with special makeup cleaner, then sucking water by dry towel. 3. 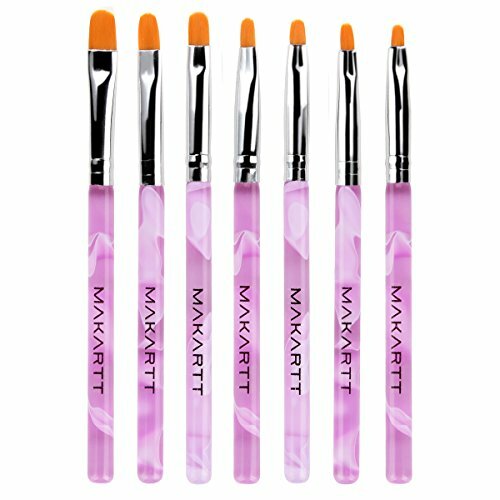 Shaping the brushes hair into an ideal form, put it flat on the shade and air drying. 4. Don't dry it with blow dryer, avoid pulling and cutting brushes hair. 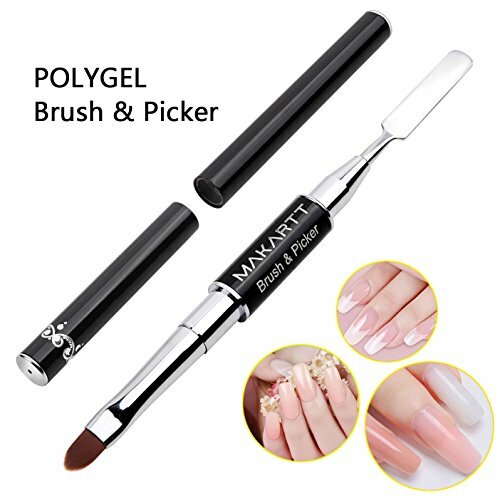 About This Product: 1) Model: YCY21 2) Material: Kolinsky hair,Nylon hair,Metal,Acrylic,Rhinestone 3) Type: UV Gel nail art brush,professional and perfect nail tools for nail art design 4) Package: Pvc tube 5) Service: OEM / ODM, MOQ: 200 Pcs 6) Weight: 100 g 7) Package include: 5 Pcs nail art brushes（2 x nail art liner brush,2 x uv gel nail art brush,1 x nail art drawing brush） Note:These brushes doesn't have the caps,but the pvc tube can protect the hair of brush very well. 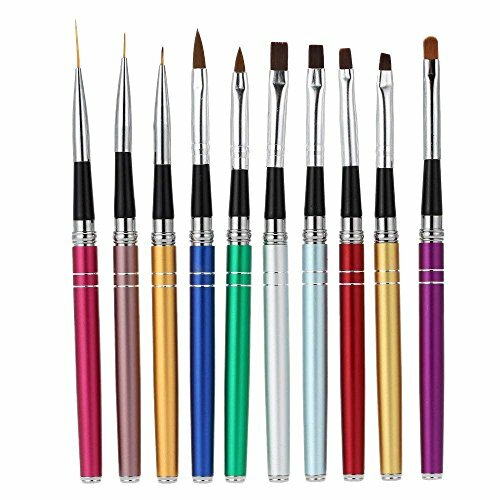 Nail Art Brushes' Maintenance General Knowledge: 1. The painting brushes can be cleaned with water immediately after painting with water-based pigment, but if it is long time hardening water-based pigment or oil color, then you must use brush cleaner to make it clean. 2. Washing the brushes with special makeup cleaner, then sucking water by dry towel. 3. Shaping the brushes hair into an ideal form, put it flat on the shade and air drying. 4. Don't dry it with blow dryer, avoid pulling and cutting brushes hair. 5. It wouldn't affect brushes usage if there is Slight depilation phenome. 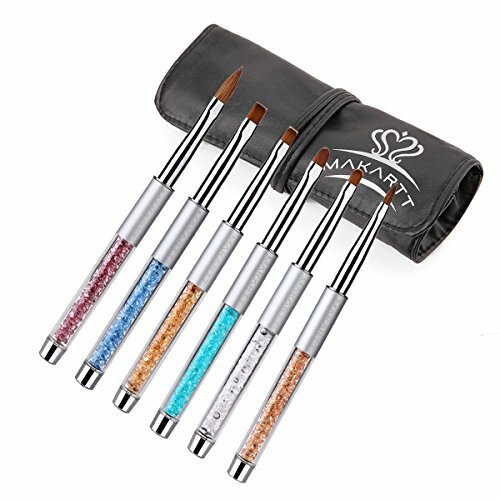 Compare prices on Gel Brush at LiveSaler.com – use promo codes and coupons for best offers and deals. We work hard to get you amazing deals and collect all avail hot offers online and represent it in one place for the customers. Now our visitors can leverage benefits of big brands and heavy discounts available for that day and for famous brands. We try to makes comparison shopping easy with Product Reviews, Merchant Ratings, Deal Alerts & Coupons. Find Deals, Compare Prices, Read Reviews & Save Money.